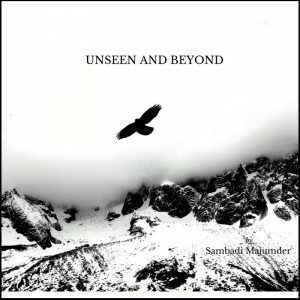 Sambadi Majumder – Unseen and Beyond – Album Review | The Ark of Music – The best music in the world…you never knew existed. The musical journeys of most independent artists never cease to amaze me. Progressive rock artist, Sambadi Majumder is currently pursuing his masters degree in agro-biotechnology in Giessen, Germany, with the ultimate goal being a PhD. But his journey did not start there. 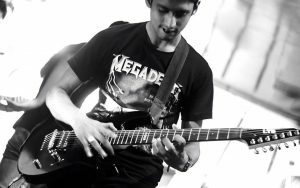 Born and raised in Kolkata (Calcutta), India, his mother being an Indian classical vocalist and musician, Sambadi picked up the guitar at age 19. Soon he was playing in local bands. Most notably, he played in an extreme metal band called Lane 16 which enjoyed a fair amount of success locally and nationally. Opening with the absolutely epic, Following Bugs, the soul’s journey begins with a great tumble into a dark pit of reality—a new world—foreign and scary. At about the 4:30 mark, the track reduces to a smokey, bluesy stretch, and you can feel that this new soul’s intoxication and domestication have begun. In, No Respite, the soul is attacked, assaulted. There is no place to hide, and the abuse must be taken. Picking up where Following Bugs left off, No Respite is packed with machine-gun kicks, wailing, grimy guitar, and all at a pace that feels like a desperate chase. The Hidden Sunrise has our soul looking for relief, perhaps even fooling itself into believing that things are getting better, but ultimately realizes that hell is not finished with it just yet. The track has a more composed, orchestral feel than the previous two songs. Here, Majumder brings a softer side which even reduces to a lovely bit of finger-picking at around the 3:30—4:10 stretch. In meeting a new family group, our soul finally finds a bit of shelter and relief in Nomoshkar (Welcome). With a downright lovely 1 & 1/2 minute intro, it transitions into a hopefully disjointed groove with a riff reminiscent of ZZ Top. Finally finding joy in its new family dynamic, A Funny And Odd Place, sees our new soul beginning to belong. The song alternates between a comical riff, and a bit more of that smokey blues we got back in Following Bugs. At around the 3:30 mark, the song slows to a curious pace, showing concretely that Sambadi’s strongest talent lies within his instinct for dynamic contrast. Now, finally feeling its strength and confident in its identity, in the aptly named, Valour, our protagonist soul returns to the world, ready to do what’s necessary to change it…willing to fight, if necessary. And, Majumder does a good job of conveying this intent by creating a track layered with urgency. War. Our soul fights to the bitter end, and finds victory. More hammering kicks complemented with screaming solos create The Hateful Arrow’s battle anthem. By the way, what happens at 6:48 is well worth the wait. Be sure to check it out. Salvation sees our soul finally free to return home, and reflective of the changes it’s endured. At 2:25, this final song brings the story full-circle with one last bit of Sambadi’s delicate finger-work. Unique. Tireless. Painstaking. As a recording artist myself, these are the words that came to mind as I listened to this incredibly talented artist’s first release. I know full-well what Sambadi went through in order to put all of the layers, tracks, concepts, phrases, solos, and rhythms in place. It’s no small feat when you’re the only one behind the board and the instrument—simultaneously. Each of Unseen and Beyond’s songs carry both independent and interdependent elements which tie the project together, yet allow each song to be enjoyed individually for their own merits. The contrasts stir the imagination and make the album downright interesting to experience. All-in-all, it is clear that Sambadi Majumder is committed to his craft, and we look forward to his future work. 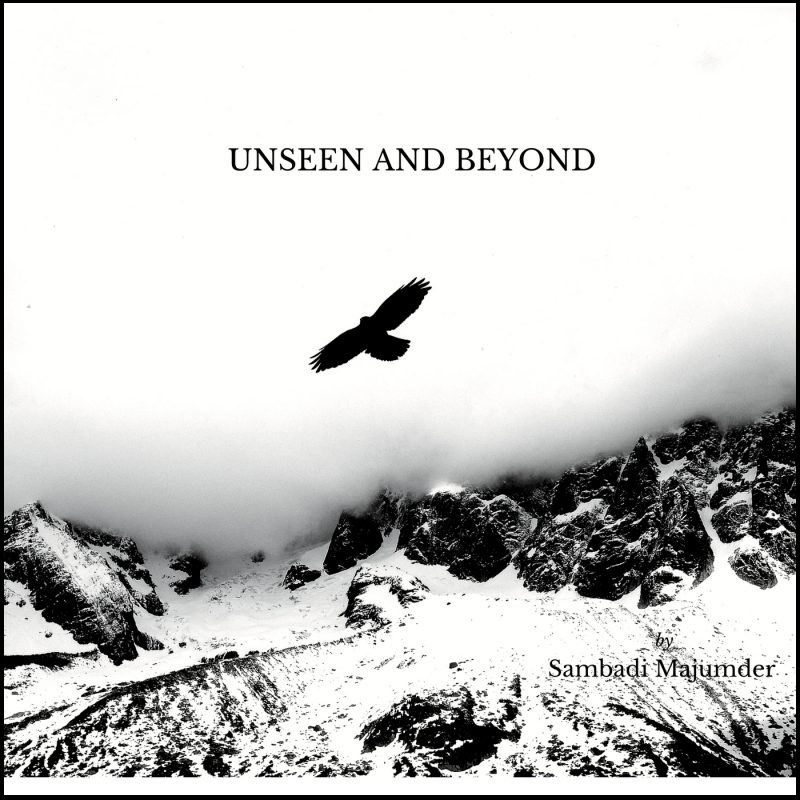 BELOW, you can listen to Sambadi Majumder’s album, Unseen and Beyond, check out our interview with him, connect with his website and social media platforms, watch his music videos, and find his booking & contact information. Please support Sambadi Majumder by visiting him online, and playing, downloading, and/or purchasing his music. And, as always, thank you for supporting real music!